SAN DIEGO, CA--(Marketwired - March 24, 2015) - The digital era has increased speed and access to health care around the world, including in Indian Country. In recent years, investments in health care technology, such as telehealth and electronic medical records, have made care and treatment more cost-effective, specialized, and in many cases more attainable. "The importance of health care technology in American Indian communities is they are much more likely to practice the delivery of health care in pretty remote areas -- far from referral hospitals or specialist physicians that are more routine in urban environments," says Dr. Thomas Sequist (Taos Pueblo), an associate professor of medicine and health care policy at Harvard Medical School and Brigham and Women's Hospital. Because of that, what health care technology can do, Sequist says, is bridge the geographic divide between patient and provider, improving access to care in areas not possible before. Still, there are challenges ahead for health providers working to decrease the health disparities faced in American Indian and Alaska Native communities through technology. Since introduced, electronic health records, or EHRs, have advanced both preventive and chronic disease care in Native communities, says Sequist, a former Indian healthcare technology researcher. EHRs have also improved the quality of health measurements, such as keeping better records of American Indian mammogram screenings. "Those data can be used and are being used at the local level for registry creation for preventative care or chronic disease screenings," Sequist says. But now providers are concerned with keeping electronic health records safe. "In today's environment we have accounts being hacked and cloned over the Internet, and medical records are stolen," says Eric Two Bears (Muscogee Creek), a tribal healthcare technology consultant. Many tribes often don't know what services they need to securely protect patient files, Two Bears says. He said sometimes private contractors offer tribes 'deals' on Internet security services, telling them its OK to back up their data on a cloud environment; however, he recommends securing patient health information through a private network instead. 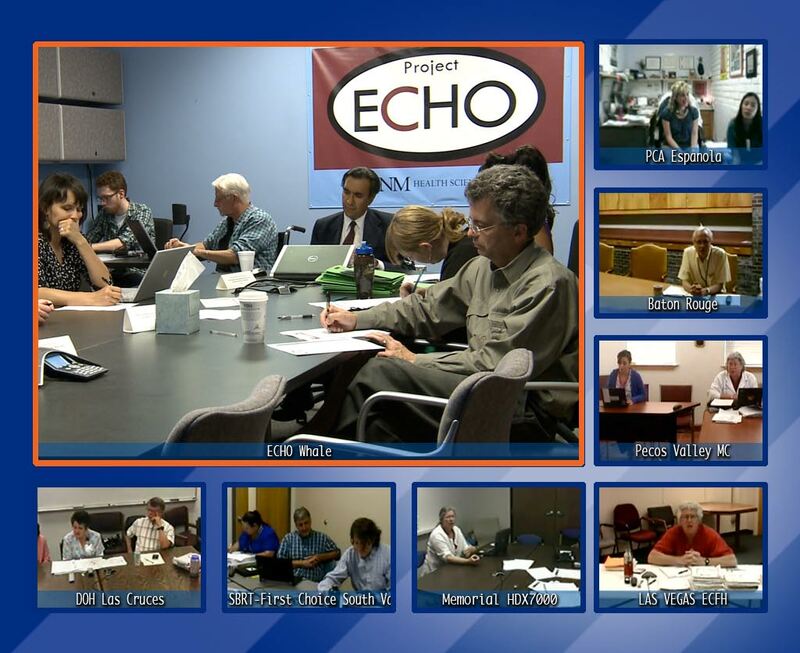 Through the training program Project ECHO, primary care providers present medical cases and receive treatment guidance from medical specialists via video conferencing at the University of New Mexico. The project is made up of 39 provider-to-specialist hubs operating in 22 states and five countries outside the U.S. 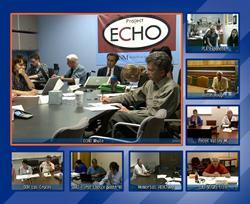 Between 10 and 15 American Indian and tribal health clinics are partnered with ECHO on a regular basis. Most American Indian clinicians come from the Navajo and Cherokee nations and tribes in Minnesota, Montana and Oregon. Dr. Karla Thornton, associate director of the project, says the goal of the project is to boost specialized care in underserved areas, which "can shorten the waiting time for patients needing those services by increasing the skills of local primary care physicians, nurse practitioners and pharmacists." The biggest barrier limiting the project, however, is that some primary care clinicians struggle to find time to participate. Dr. Bruce Struminger, also an associate director for Project ECHO, says part of the problem is that many health facilities are short-staffed. "I think most would like to participate more than they do now, but there's that pressure where they can't take that extra hour," he says. Through the federal Healthcare Connect Fund, eligible rural health providers can receive a 65 percent discount on their health telecommunications, such as broadband service, equipment and their connections to research and education networks. Established by the U.S. Federal Communications Commission, the fund aims to increase connections between rural providers and medical specialists, ease the exchange of electronic health records and encourage remote training of physicians and medical personnel. But Two Bears, who is president of the American Indian Healthcare Technology Council, says most tribes unknowingly pay out of pocket for their health telecommunications -- in some cases upwards of $30,000 to $40,000 each month. He says the savings could allow Indian and tribal health clinics to reinvest in other healthcare technologies, purchase needed equipment or update facilities. © Native Health News Alliance is a partnership of the Native American Journalists Association (NAJA). NHNA creates shared health coverage for American Indian communities at no cost. Registered users can download additional print, web and audio content at http://www.nativehealthnews.com and publish as is or add their own reporting, highlighting important issues within the local Native community. NHNA services are free to all those who think good journalism has a positive impact in the lives of all of our readers, listeners, and viewers.